Hi y'all! I hope everyone had an amazing Thanksgiving Holiday Weekend! I know we did. Thanksgiving Day we spent with Jeff's family in Magnolia, and then William and I headed to Austin to spend a few days with my parents. Jeff dropping a turkey in the fryer on Thursday at his parents house. He loves fried turkey and says that it's not Thanksgiving unless there is fried turkey. William, his Gran, and Surf on Friday morning after Thanksgiving. My dog from college thinking that he is a person :) I love that dog, but he fell in love with my dad and now is basically inseparable from him. Having sewing machine, will travel. I love that my sewing machine is so small and that I can pack it up and take it with me on weekend trips like this. I did some late night sewing and had the Griswold family to keep me company. I was able to bust out 4 stockings while here :) 1 went to Hawaii, and 3 went right up the road to Round Rock, TX. Well that was our weekend :) William and I are heading back to Houston tomorrow morning, but we're stopping in College Station swing by a quilt shop that has tons of A&M fabric. How fun!! And can we say your etsy shop has "made it" when an order goes off the mainland USA? I think so! Congrats on the success! That is SO freaking cool you are making those sales!! Glad you had a great T Giving! Sounds like the perfect Thanksgiving! Would the pit stop in College Station happen to be Pruitt's Fabrics? That's where we ordered my gameday dress from- they have the cutest stuff! 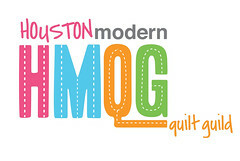 Lone Star Quiltworks! I love that store! Their classes rock!